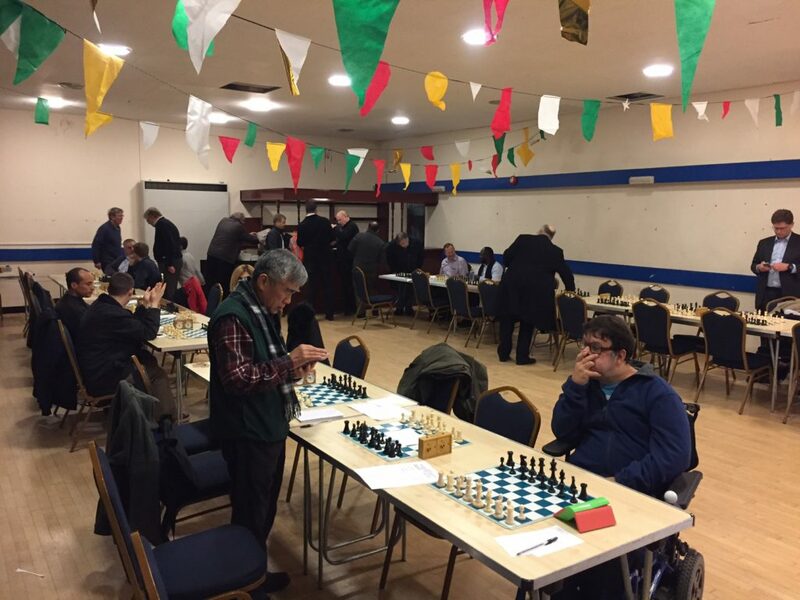 Ladies & Gentlemen, SAVE THE DATE – the second round of our club Blitz tournament takes place on Monday 19th December at our home venue. With a further two rounds to go before prizes are awarded there is quite literally everything to play for! Entry is entirely free, and you don’t even have to be a member – can’t say fairer than that!! 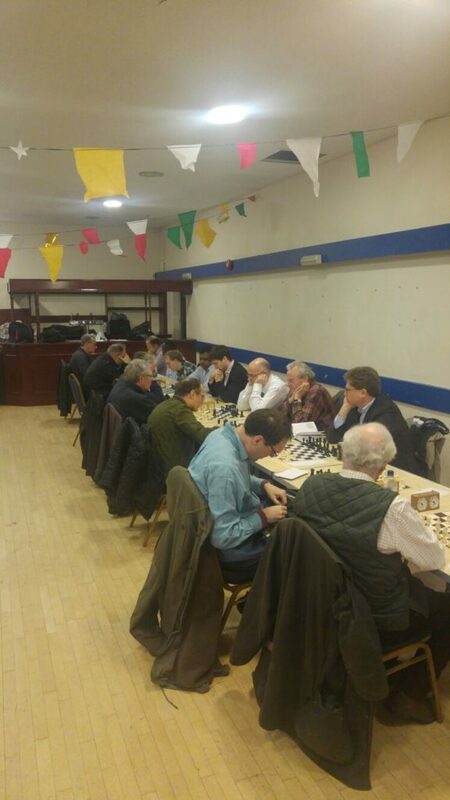 In our fourth match of the season we came up against the old and venerable Kings Head club. Despite the result, we accounted well for ourselves despite being out graded by up to 30 points over three boards. With the Christmas bunting out, would the Hammer team be feeling festive by the end?? I saw little of any game apart from my own. David playing black on top board lost a minor piece early on and did well to hang on for so long. It was a courageous effort and he managed to post double Rooks along the a-file, but alas it was all in vain and the inevitable checkmate occurred. I had the White pieces on board 2 and started with an outrageous opening that was able to exert some pressure against an uncastled King. My opponent defended well though. Eventually pieces got swapped off, Queens and opposite coloured bishops emerging, the game became locked and a draw was offered, which I accepted. Nick on 3 playing a Kings Indian defence, unfortunately fell to a Knight fork of King and Rook. 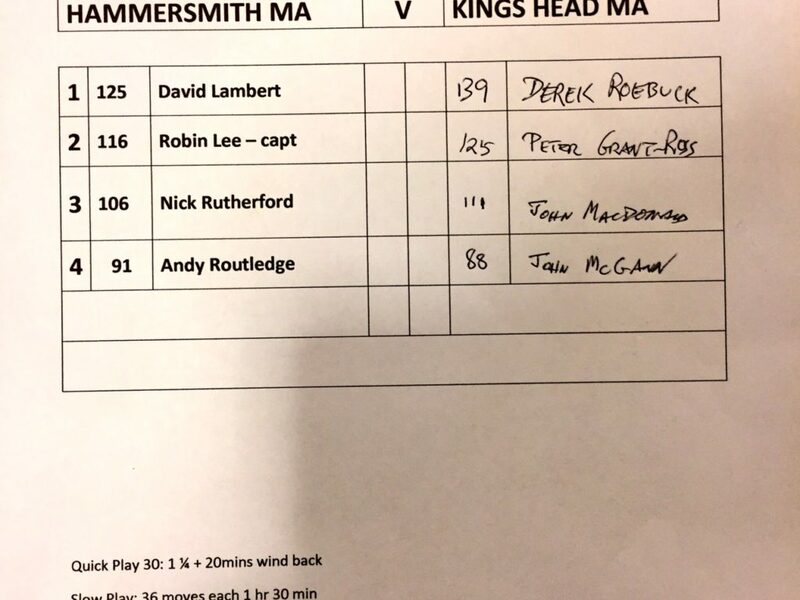 Against a veteran of the Kings Head Club, and former captain no less, there was no shame in the defeat. 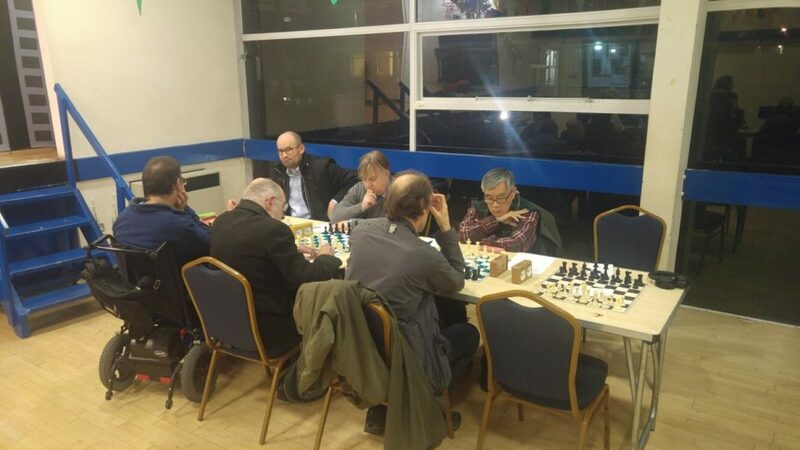 Andy built up a strong centre after a rapid development, and then defended stoically in the face of a sustained counter from his wiley opponent. After swapping pieces he entered the endgame with a slight positional advantage, only to lose it all & resign after blundering his Rook. Bad luck!